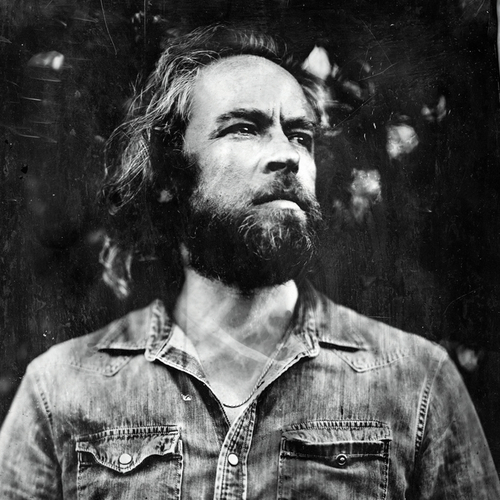 Duke Garwood announces details of his new album 'Garden of Ashes.' Out on February 3rd, 2017 via Heavenly Recordings. In the face of an apocalypse, we all need a safe house. A place for sanctuary; not to hide, but to claim for our own. On his new album, South London’s unlikely bluesman Duke Garwood has found the perfect place for us all, and says it’s time to meet in the Garden of Ashes. Whilst fans, fellow artists and collaborators including Josh T. Pearson, Tinariwen, Mark Lanegan, Kurt Vile, and Savages’ Jehnny Beth all marvelled at Heavy Love and its depiction of an artist who has always cut his own groove, Garden of Ashes is equally doused in magnetising imagism (‘Coldblooded The Return’ brings the record full circle with slightly altered lyrics as though its grown wiser throughout the course of the album and ‘Sleep’ nods to the writing of Werner Herzog). “I was inspired to follow Heavy Love with a warm bath of honey for the soul. It's a stare down to the beast of hate trying to take over our garden. Time for Man to be the beautiful warrior and stand up for his loves,” Duke says. Old soul-meets-saint, Duke’s life story is one of the character-building twists and turns known only by the greatest artists and vagabonds. As the leading character in a tale where Mexican gangs forced tequila down his throat, or in rooms where some of the world’s biggest rock stars would gather, Duke’s cross-continental travels extend from Thailand’s bar scene, the mean streets of Paris, Hackney’s squatlands, nearly dying upon returning from Cuba due to “some serious jungle disease”, Moroccan hash bars, a music-filled bolthole on Brixton Hill, to Josh Homme’s Pink Duck studio in Los Angeles. Leaving behind LA and work with Mark Lanegan as well as playing horns in Archie Bronson Outfit in favour of recording solo material closer to home, Garden of Ashes was part recorded in Duke’s ‘Valley Heights‘ studio and at ‘Giant Wafer’ in Wales with producer Strat Barrett at the helm. It features friends Paul May on drums, Pete Marsh on double bass and, adding a Morricone-style to some choice cuts, Smoke Fairies and lady Emily on backing vocals. Whilst it explores Duke’s heartache for things beyond his control, each track on Garden of Ashes, through sonorous vocal delivery, unfurls like the healing stench of a Deep Heat patch for the soul. ‘Sonny Boogie,’ gives us a song to dance to and ‘Heat Us Down’ is a love song about appreciating the wold as it burns. The title-track’s sensual tempo is the theme as lovers take a walk amongst the trees, and ‘Sing To The Sky’ will surely ease any pre-apocalyptic pain as Duke’s warm vocals soothe the crying fret squeaks.